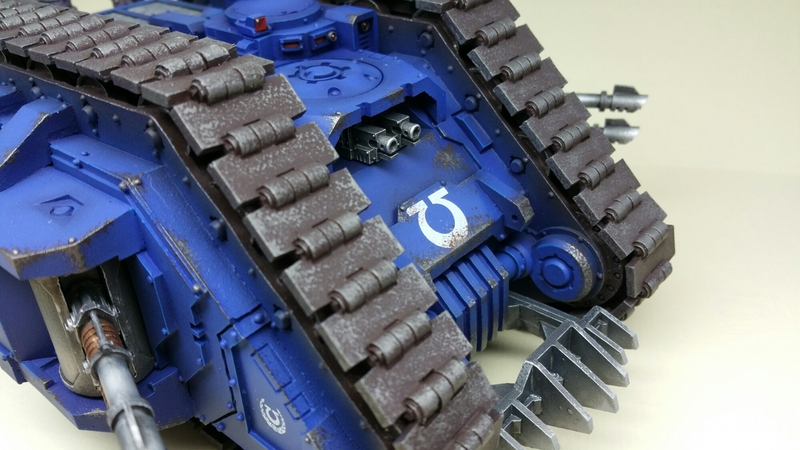 At the Horus Heresy Weekender earlier this year I picked up my first comission for an Ultramarine Land Raider Armoured Proteus. It was a cool project and allowed me to paint something different. The client was really pleased with it, which is a great relief when it was my first one! 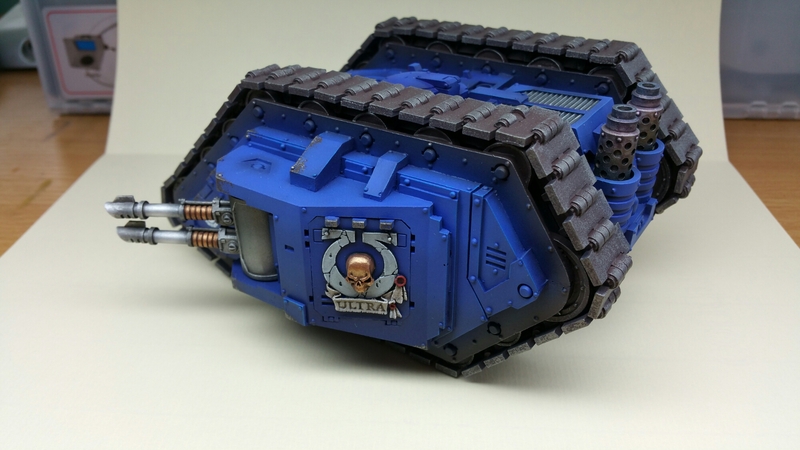 I met up with him again at the Horus Heresy Throne of Skulls last weekend and he asked me to paint a Vindicator Laser Destroyer he’d just bought. 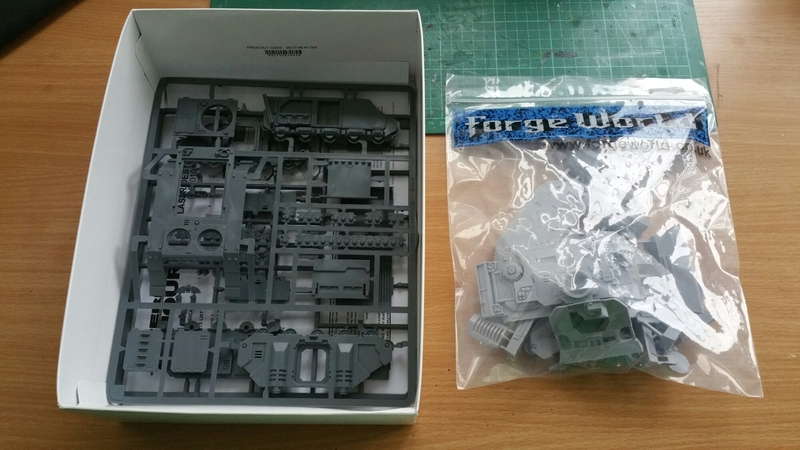 It’s a great little kit, and I was suprised it came in a box rather than the usual bag. 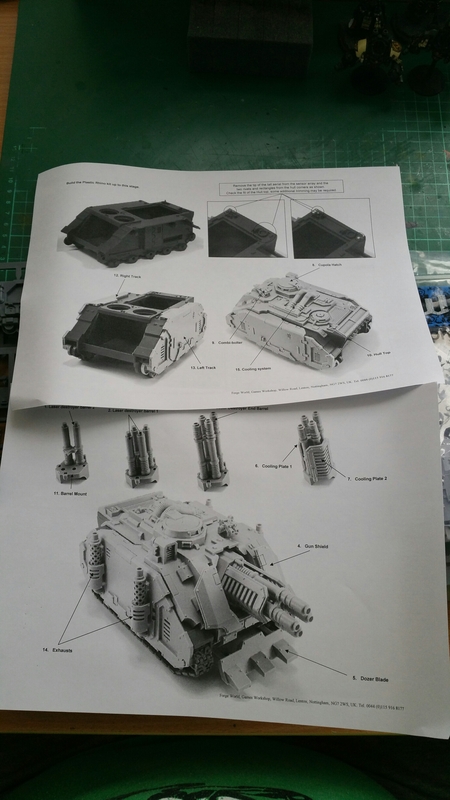 The instructions were typical of those found in other Forgeworld kits, but are adequate for building the model. 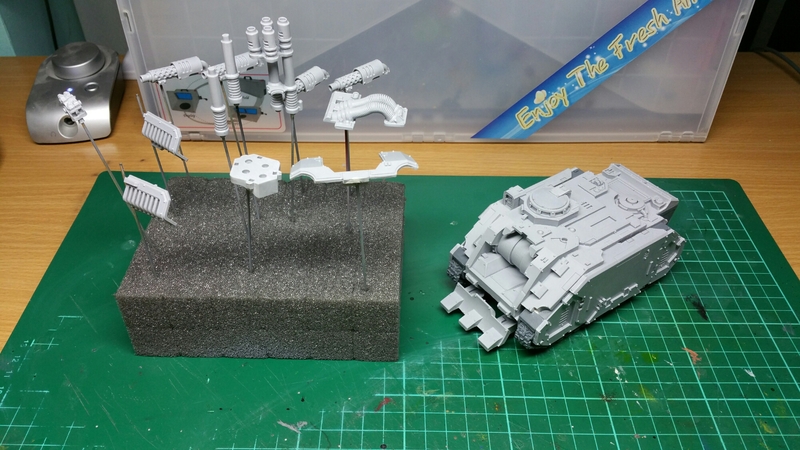 I got the model built and primed earlier this week, and I’m looking forward to getting started on it. Updates to follow this week!